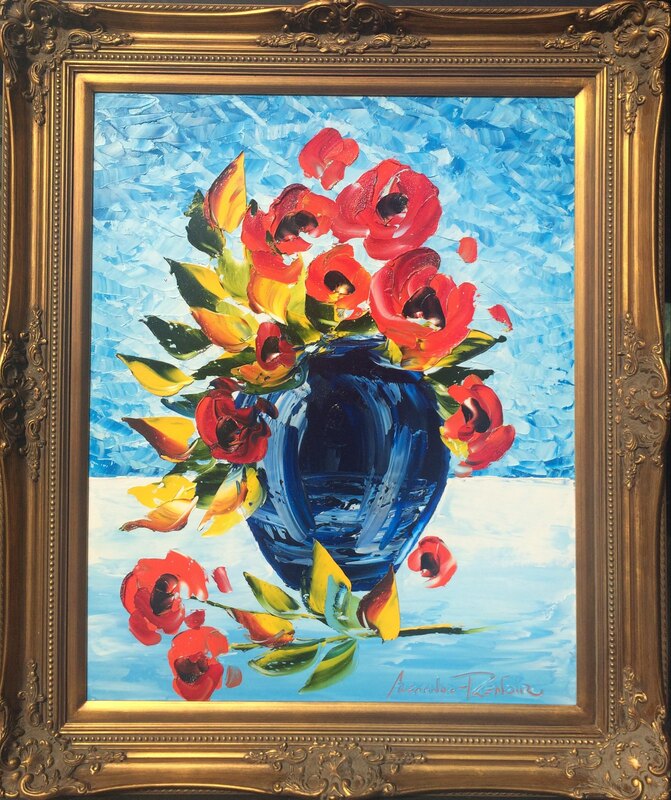 Alexandre Renoir | Blue Vase With Red Roses | Original Oil on Canvas | 30" X 24"
Dimensions are for artwork only, painting comes framed as shown. 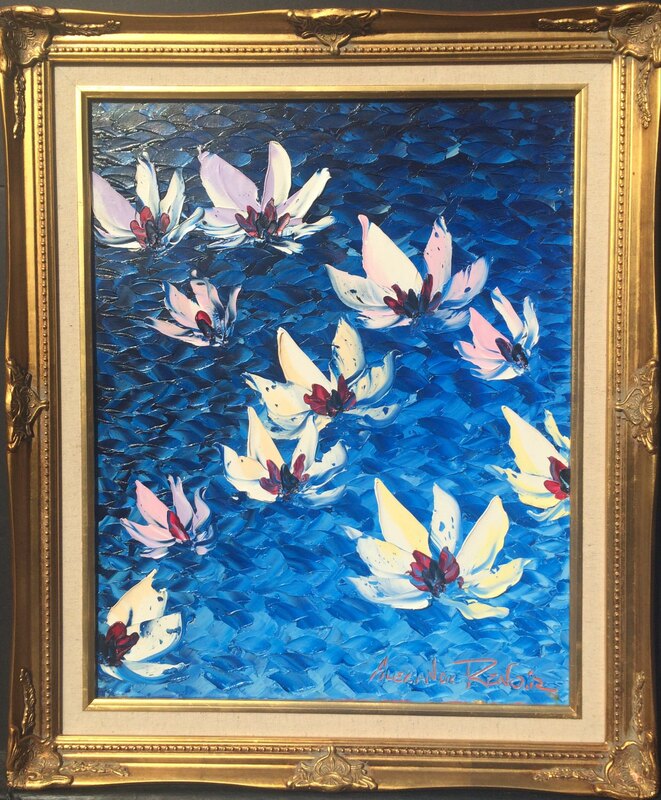 Alexandre Renoir | Blue Vase with Roses | Original Oil on Canvas | 30" X 24"
Alexandre Renoir | Dawning Lillies | Mixed Media on Canvas | 24" X 30"
Alexandre Renoir | Lilies on the Pond | Original Oil on Canvas | 20" X 16"
Alexandre Renoir | Purple Blossom | Original Oil on Canvas | 30" X 24"
Alexandre Renoir | Tropical Bouquet | Original Oil on Canvas | 40" X 30"
Alexandre Renoir was born in Cagnes Sur Mer in the south of France. When he was 4, the family moved to Canada, but even after leaving France, as the great-grand son of the great French Impressionist artist Pierre-Auguste Renoir, Alexandre grew up surrounded by art and artists. His famous family includes film director Jean Renoir, actor Pierre Renoir, director of photography Claude Renoir Jr., and Claude's daughter actress Sophie Renoir, to name a few. 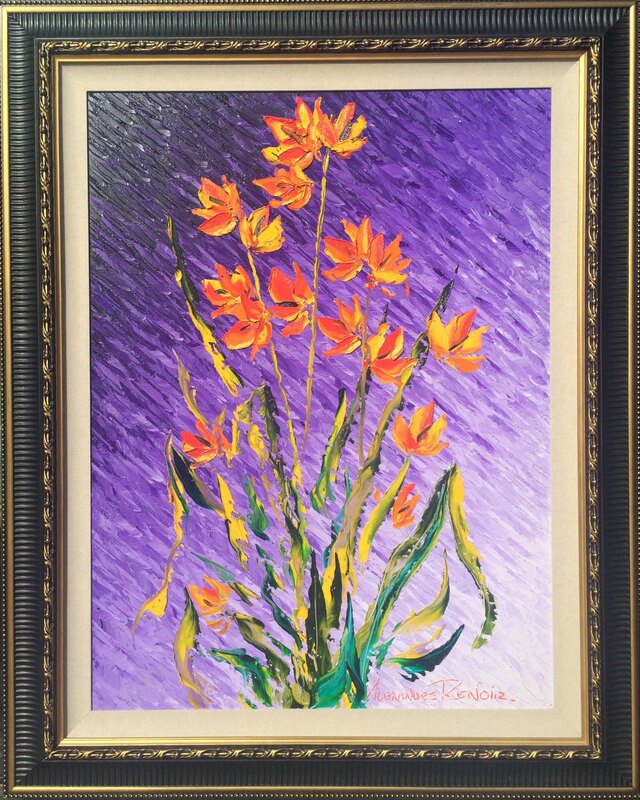 Artistic from a young age, Alexandre went to various arts-oriented schools including the Virginia Park School for the artistically gifted and the Victoria School for the Arts and Performance where he graduated in 1993. In addition to his formal education he also attended classes at the Alberta Museum on Aboriginal Arts and Crafts garnering experience in sculpture, pottery, woodworking, stone carving, commercial art, photography and painting. His first serious artistic venture was with jewelry design, gemology and goldsmithing in a family venture which utilized the abundant local occurrence of the rare precious stone ammonite. Although he was immersed in the arts and culture of his environment, Alexandre remained primarily an onlooker until his drawing abilities were tapped by his brother Emmanuel. During a visit to La Jolla, Emmanuel gave Alexandre some drawing paper and challenged him to draw with charcoal. The results were impressive, delighting both Alexandre and his brother. From the first sheet, Alexandre could naturally draw in various styles; his charcoal drawings are created with a sense of ease and grace that is reminiscent of the beauty and charm of the impressionism period. 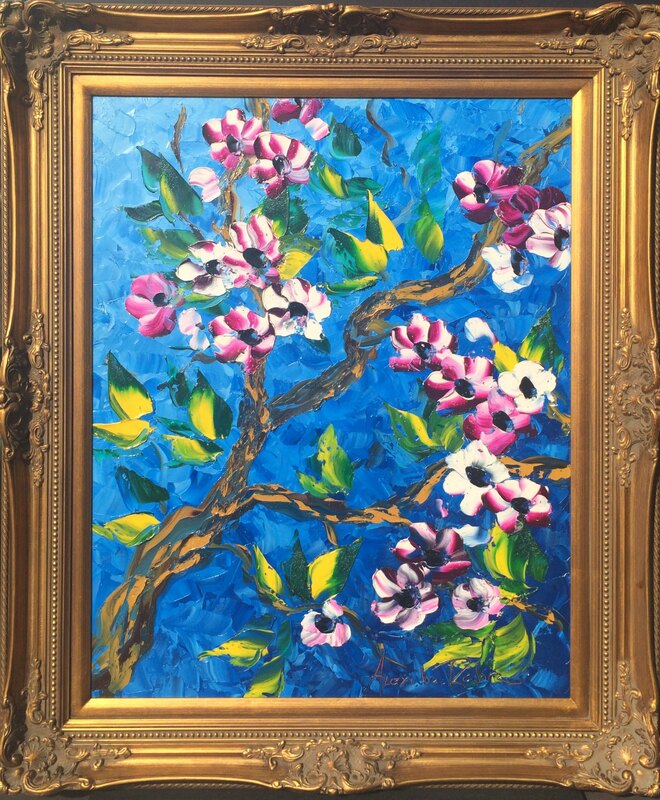 Alexandre's works currently reside in private collections in numerous cities throughout North America, Asia and Europe. His work was also featured in Tennessee State Museum for the exhibition "Strokes of Genius". 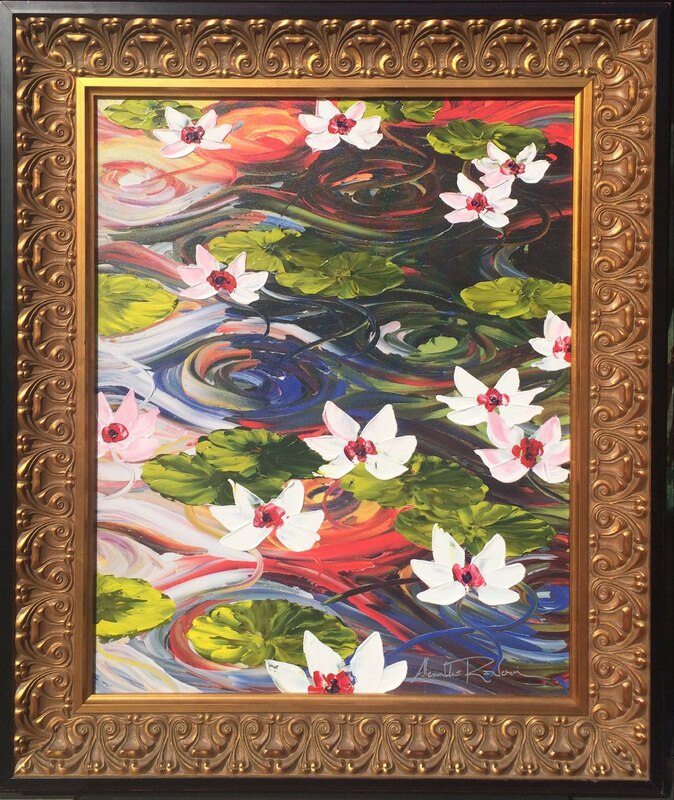 Alexandre's works currently reside in private collections in numerous cities throughout North America, Asia and Europe. 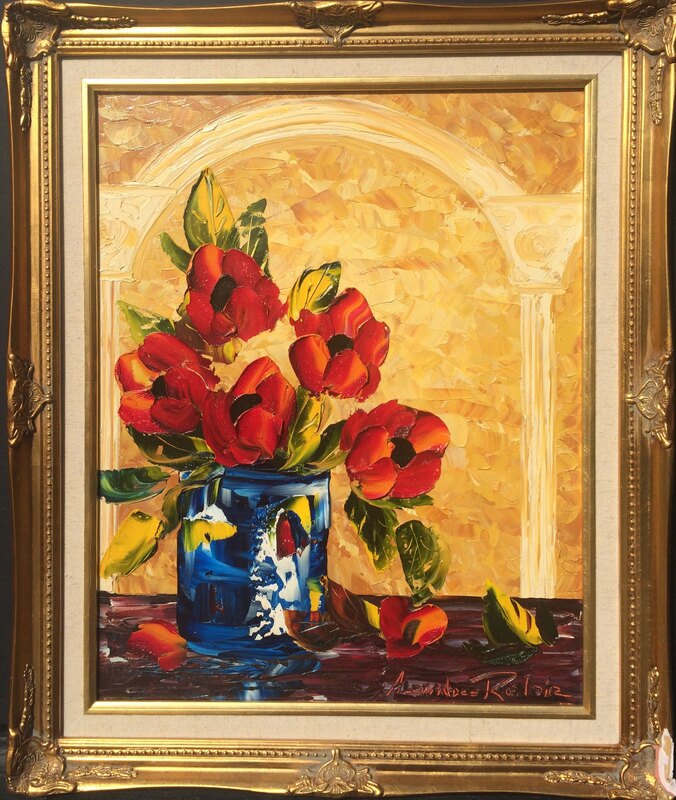 Key West Gallery is proud to display the fine art originals of Alexandre Renoir!